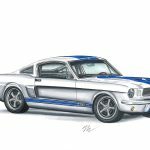 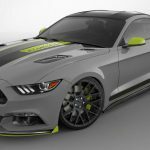 With one week ahead the official opening of the 2016 SEMA show, taking place in Las Vegas, the North American carmaker Ford has already prepared an entire fleet of custom-built models for the show. 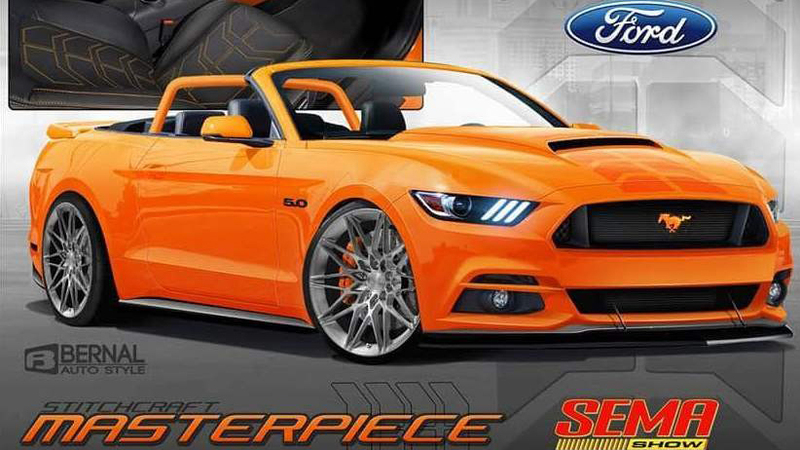 Following last week`s new Focus RS, ST and Fiesta concepts, built in partnership with aftermarket divisions, Ford has also prepared an interesting Mustang lineup for the upcoming auto show. We are looking here at no less than six custom-built Mustangs, with exquisite features and aftermarket mechanics from well-known specialists that have a history in Mustang customizations. 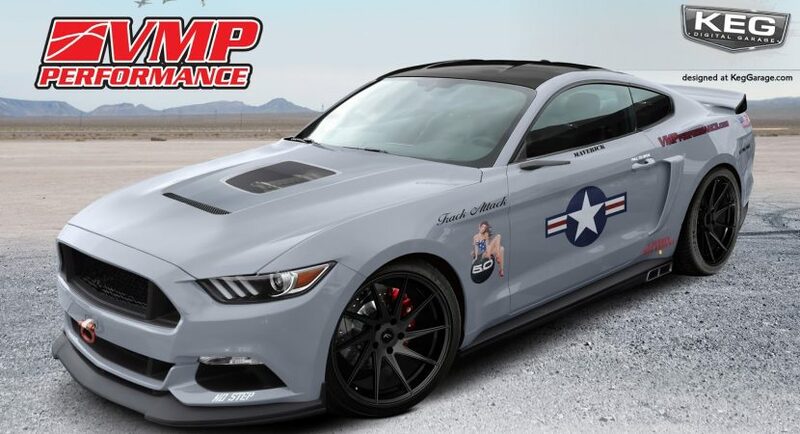 The first star heading to SEMA is the Mustang GT by VMP Performance, the muscle car standing out from the crowd with a military-like body wrap, new alloy wheels in Michelin Sport Cup 2 tires, updated mechanics – including three-way adjustable coilovers, courtesy of Roush and Ford Performance Brembo brakes – as well as tweaked interior with lots of aftermarket trims. 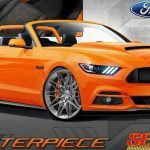 On the other hand, the Mustang Convertible wrapped in the gorgeous Pearl Candy Orange, is standing out from the crowd with the Forgeline wheels and new aero package, adding AFE intercooler, Wilwood brakes or nitrous oxide system. 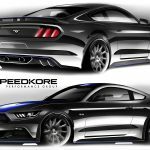 The third model to set foot at the Ford`s stand in Las Vegas is the all-new 2017 Mustang GT customized in collaboration with Speedkore Performance Group, with the main highlight on the Whipple Stage 2 supercharger, which raises its power to a mind-blowing 825 horsepower. 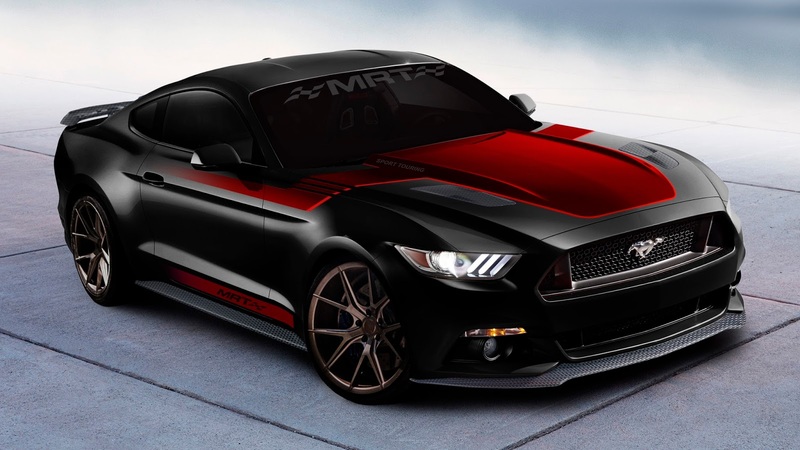 Next is a Mustang version modified by MRT tuner, this lad being offered with a red and black exterior wrap, with exterior and interior modifications. 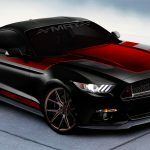 The car`s 2.3-liter EcoBoost engine has also received some upgrades that will be officially revealed at the SEMA show. 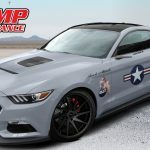 Ford`s latest Mustang to be showing off is a standard one with slight changes from Ford Performance division, which has also modified the Focus lineup heading straight to the show as well. 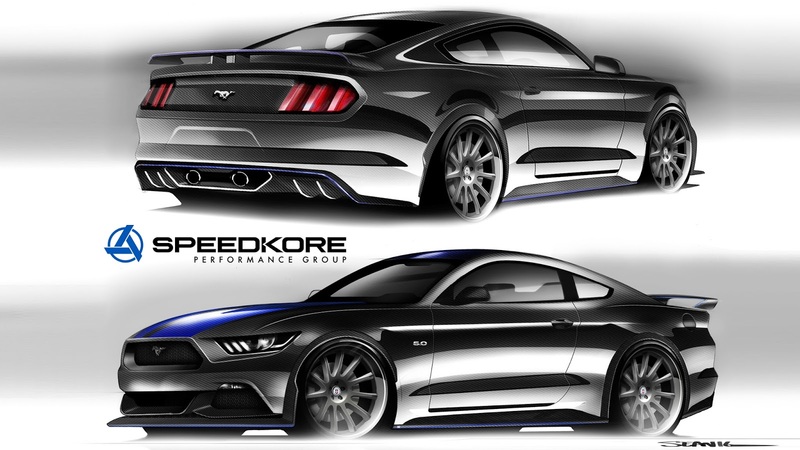 This one here adds new Stealth Gray exterior colour, updated suspension system and brakes and carbon fiber components on the body styling. 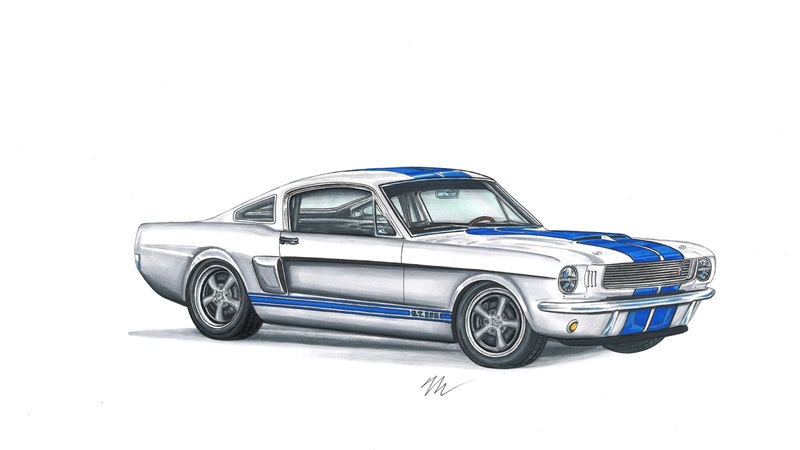 The sixth model to be introduced is the exquisite and rare 1966 Shelby GT350 reworked by Revology Cars, the vintage model being restored and looking pristine with new elements as well – such as new mill, Wilwood brakes and fresh wheels. 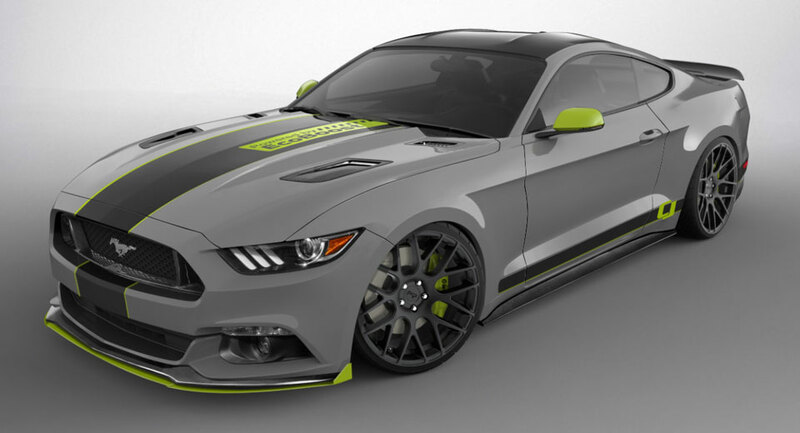 More details with the Ford model lineup will be knwon in Las Vegas startign the 1st of November.